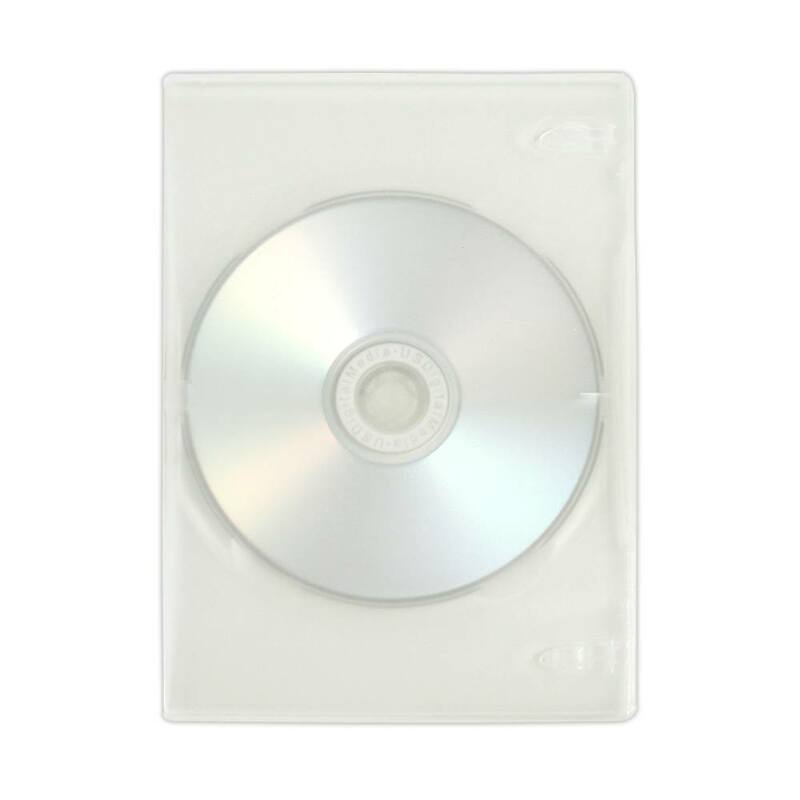 For superior disc protection and high visibility, this ultra clear thin DVD case is your go to option. The slim, clear exterior is great for displaying custom artwork and other printed materials. The slim case also weighs less, so you’ll save a ton on shipping costs. Don’t sacrifice storage space; a slim DVD case holds the same capacity as a standard case without the bulky exterior. Fit them easily in smaller storage spaces. Store your media safely and stylishly with a great price to boot. The USDM clear thin case is not only half the thickness of a standard DVD case, it is allows your disc artwork to be visible through the case! Thin cases are also great for saving space and money. Their lower weight drastically cuts down on the shipping cost and their lower profile allows you to fit them in smaller boxes. Each case includes a clear overlay on the outside for adding printable DVD case inserts from the top or bottom. You can also enhance your project with our DVD case wraps and DVD mailers. Insert Sizes: Outer Entrapment: 7.125" x 10.4"; DVD Case Insert: 4.9375" x 7.28125"
Discs shown for illustration purposes only.